Special low price! Only $10 instead of $25! 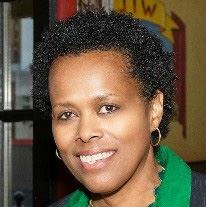 Sharon Owens has worked in the fields of housing, community development, human services and government for over 30 years. She serves on the Greater Syracuse HOPE Initiative, Upstate Minority Economic Alliance. Consensus Commission, Joint Schools Construction Board, I-81 Stakeholder Committee, Partnership for Youth Justice, Home Ownership Center, Youth Substance Abuse Prevention Coalition and Jubilee Homes. She is the 2015 recipient of the Gifford Foundation "Kathy" Award in recognition of her advocacy on behalf of the Syracuse community. Non-Member Meeting Price only $10! you care about. Help to spread the word!